Mr. Manjunath Aradhya, a technocrat by profession, teacher by choice and an educationist by passion. Under his able leadership, Agasthya Vidyanikethan has emerged as one of the best school in Bangalore, Nagarbhavi region. Started in the year 2012, it is one of the top school in the vicinity since it is one of the very few schools which is headed and micro-managed by a profound scholar. 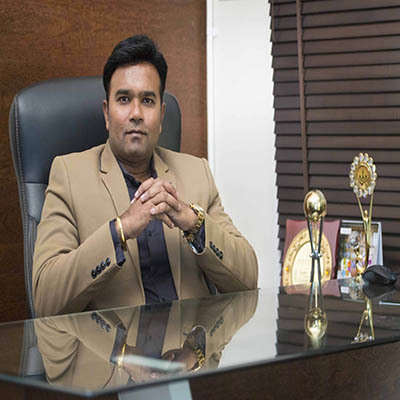 Mr. Manjunath Aradhya has been in the field of higher education and particularly engineering education for the past 17 years. He was formerly a Business Associate with Wipro Technologies and even today is a consultant to many leading IT companies. He also owns decisive stakes in at least 3 software companies founded by a team of committed and passionate individuals. He is also the founder of ABC for Technology Training which is a National brand enabling the creation of thousands of careers annually in the IT Sector. He has also authored numerous hot selling engineering and other textbooks which are published by Pearson Education, an internationally acclaimed publication house headquartered in London. Other renowned international publishers such as Cengage Learning headquartered in Boston, United States, also have published books authored by our respected founder.